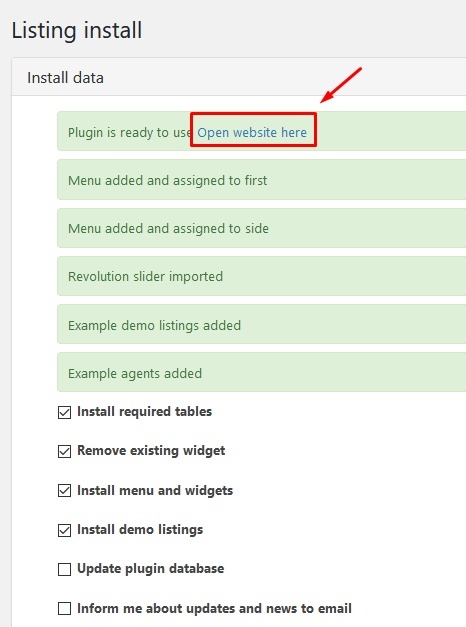 You should have WordPress 4.x installed ( https://wordpress.org/ ), best if you have clean installation. 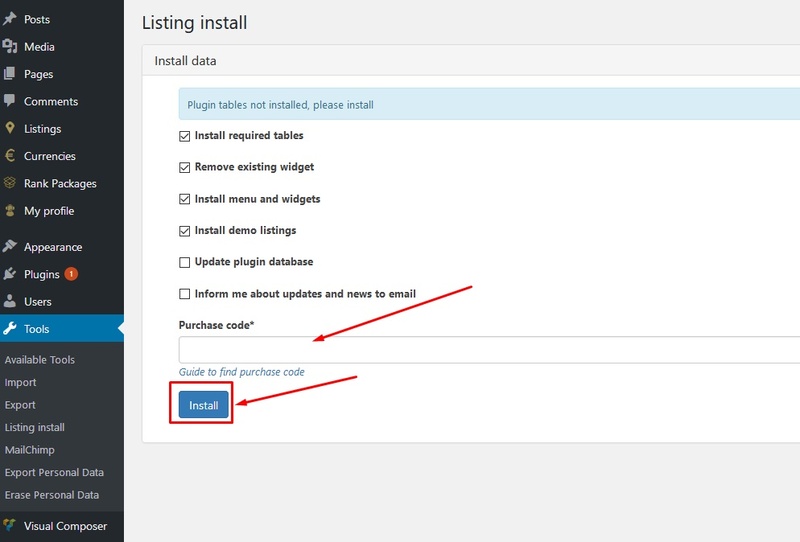 Click on install theme and follow installation procedure, just clicking "next". 2. 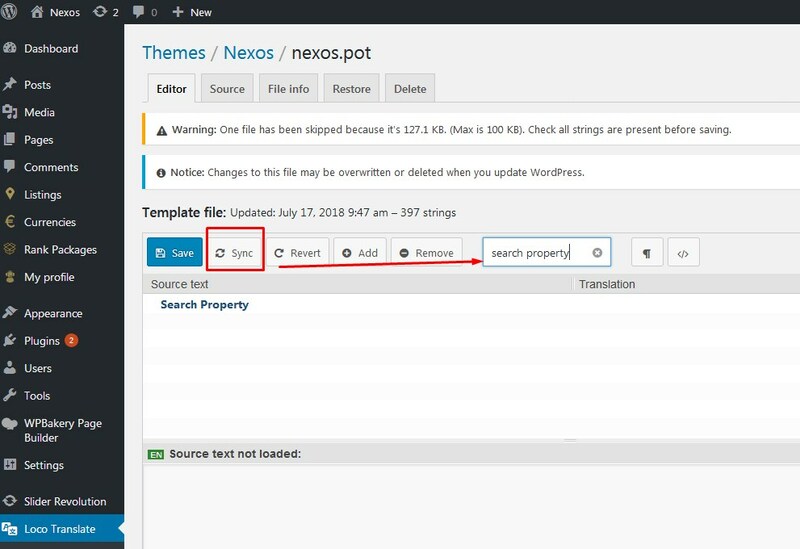 Upload nexos_theme.zip on server via cpanel file manager to folder "wp-content/themes"
Plugin support custom register/login page, users registered there will automatically become agents/owners. 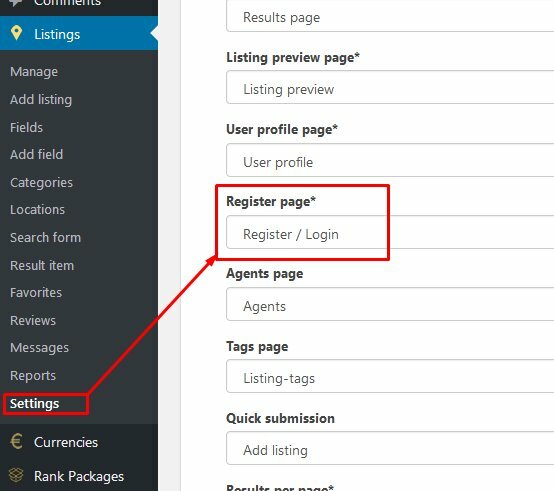 Visitors can also quick submit listings even without registration proccess, but if user is not registered account will be automatically created (require only email). 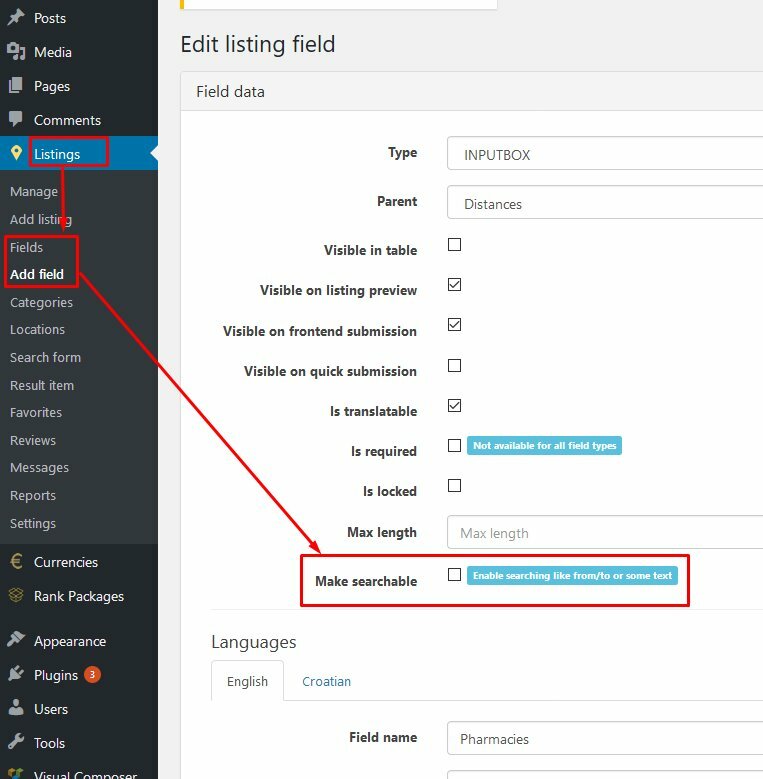 This page can be used for quick submission (require to populate only required fields and defined fields by administrator). 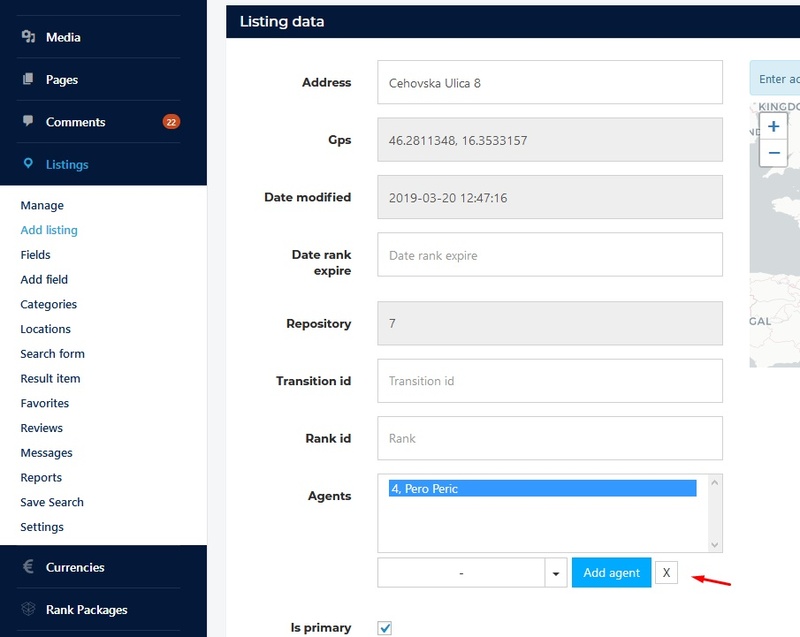 Visitors can submit listings even without registration proccess, but if user is not registered account will be automatically created (require only email). You can add this page link into your menu if you wish. 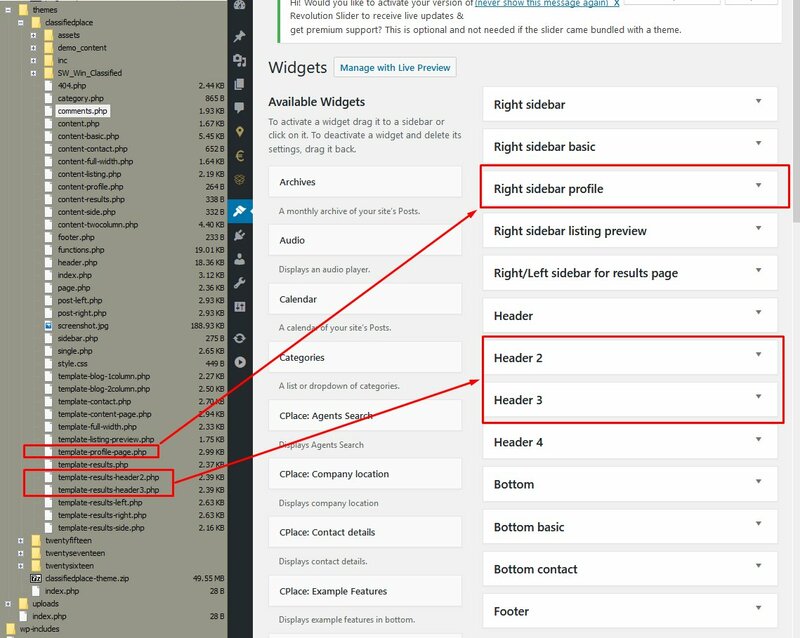 Our Theme support many templates for specific usage, like profile, results, listing preview, content, contact, news. 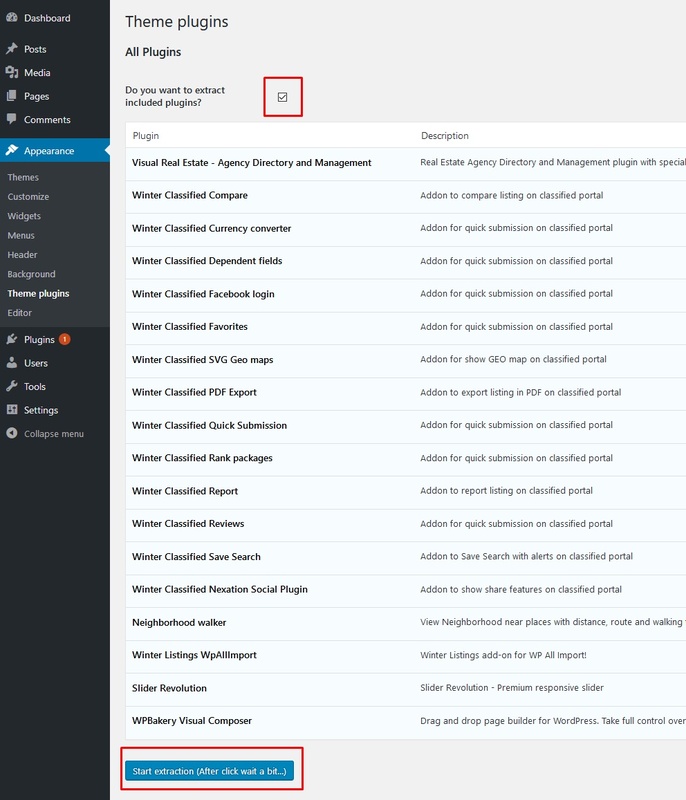 With default demo installation everything will be configured nicely and you can check yourself in admin. 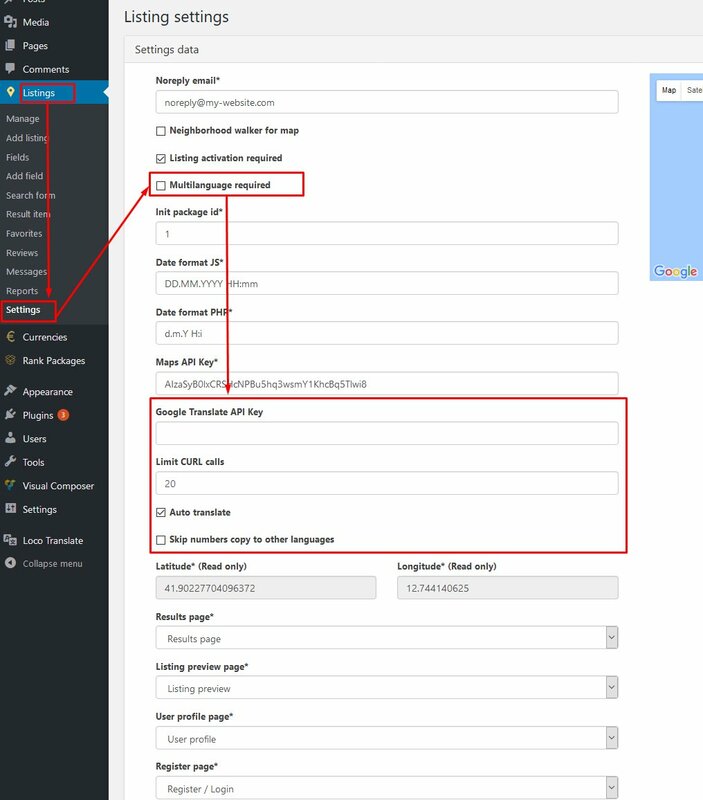 Plugin support automatic locations based on user populated fields like address, country, city, and auto search based on this data with help from google api to detect coordinates. 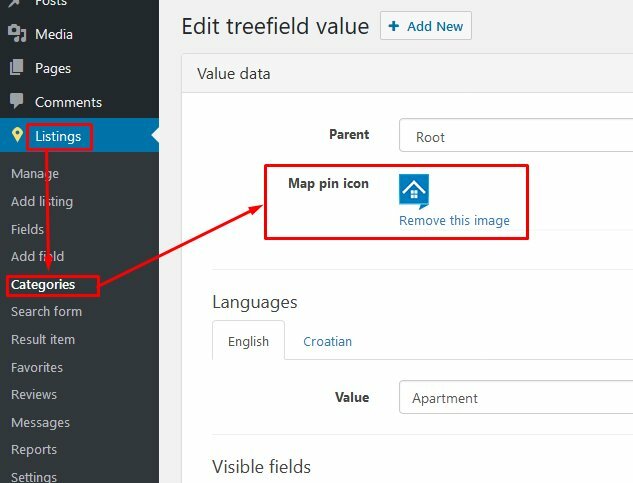 Complete plugin is organized based on Fields, so listing details are collected from fields. 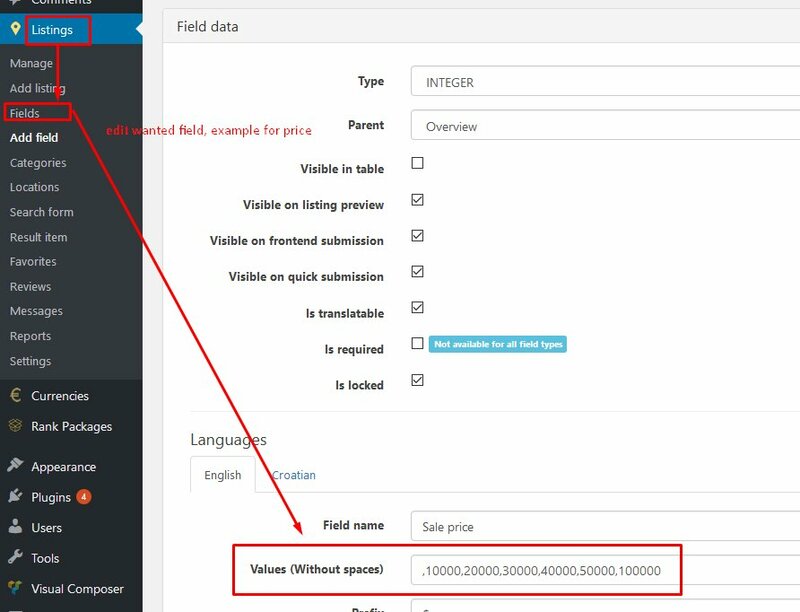 Some fields are RED LOCKED, this means that we doesn't allow to remove them. 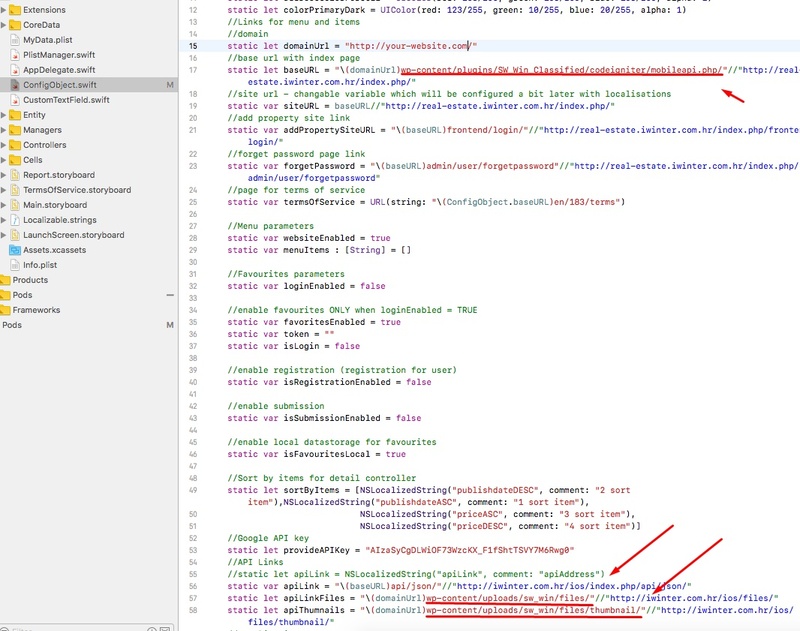 We doesn't allow this because field is importand by design/functionality for web or for mobile api. But in any case you can rename it suggesting for some similar purpose. 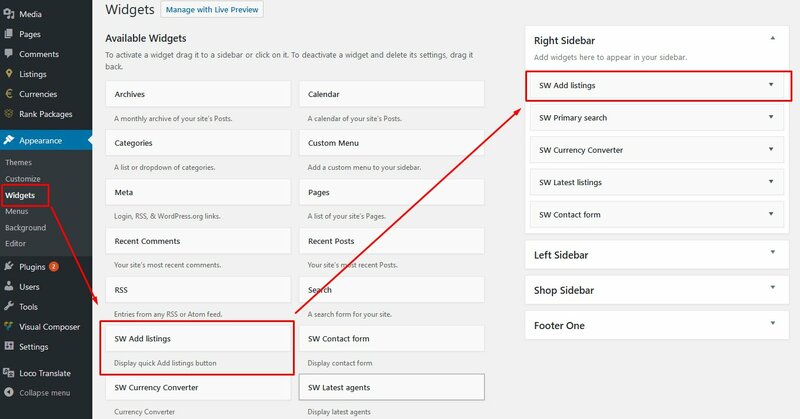 Please don't change/remove category fields type, Fields not in categories are not visible automatically on listing preview, only specific defined field like description or content are visible, so don't remove/change all categories! 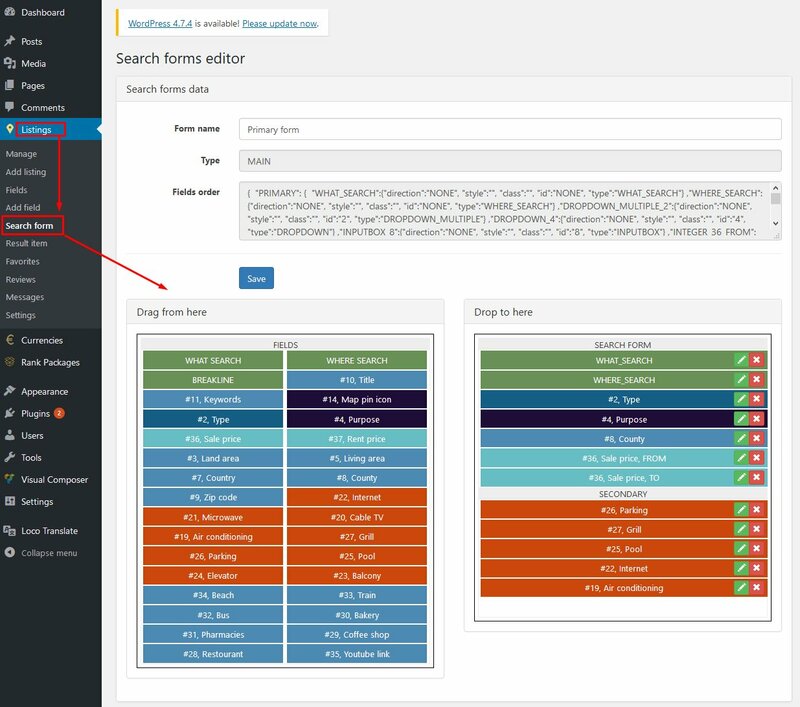 Search form is designed as widget or VIsual Composer element. Every search result also must content primary search form to work properly. 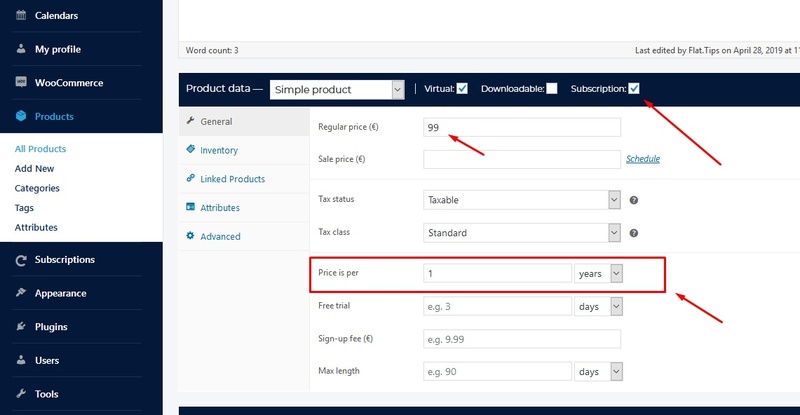 You can also transform INPUTBOX/INTEGER into dropdown on search form, in some cases like Price selection. 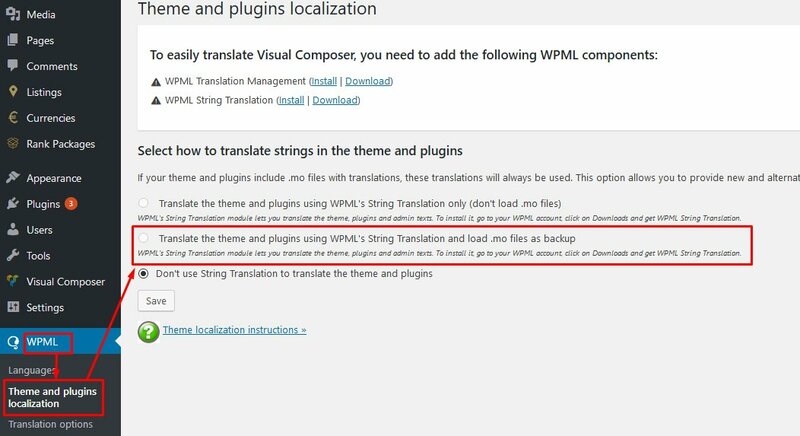 Our plugin also support commercial WPML if you will need it, WPML require additional page for each langauge. 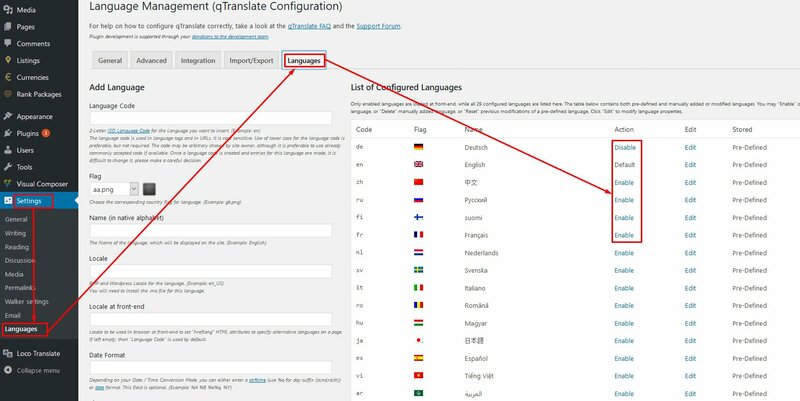 You can provide Google Translate API key (not free) for best Google translations, in other case MyMemory free api will be used. 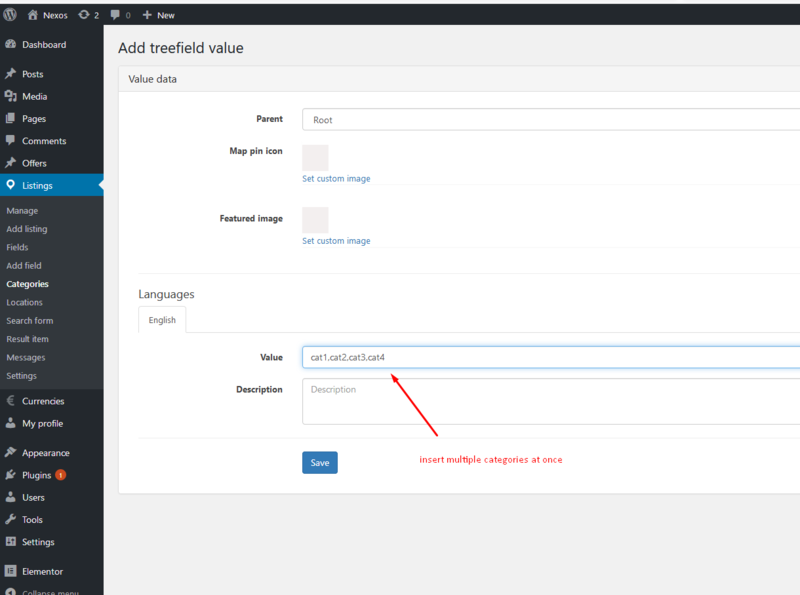 Limit cURL calls is there because some servers doesn't allow unlimited calls for translations (each input field translation require one call), here can be limited and other translations will be just copied. 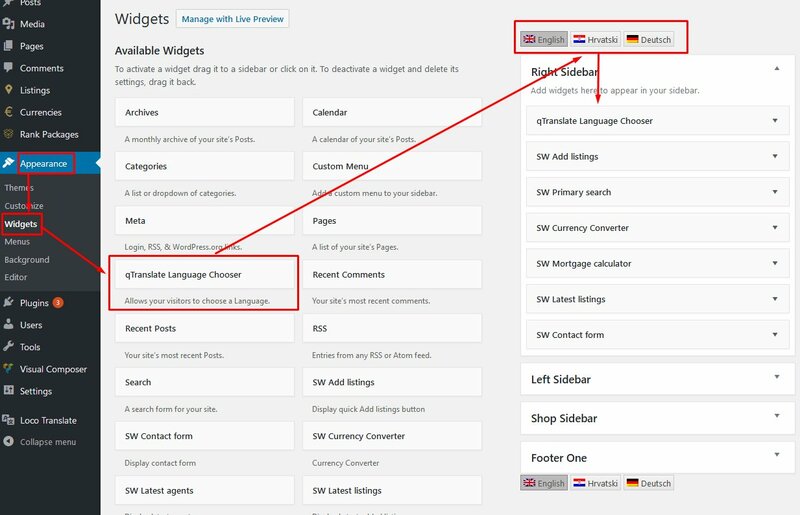 NOTICE: qTranslate doesn't support some translations like for profile details biography, widgets, visual composer, elementor, possible also other plugins and similar so is better to use WPML. If you have any troubles with using polylang please open support ticket and we wil be happy to assist. 4. 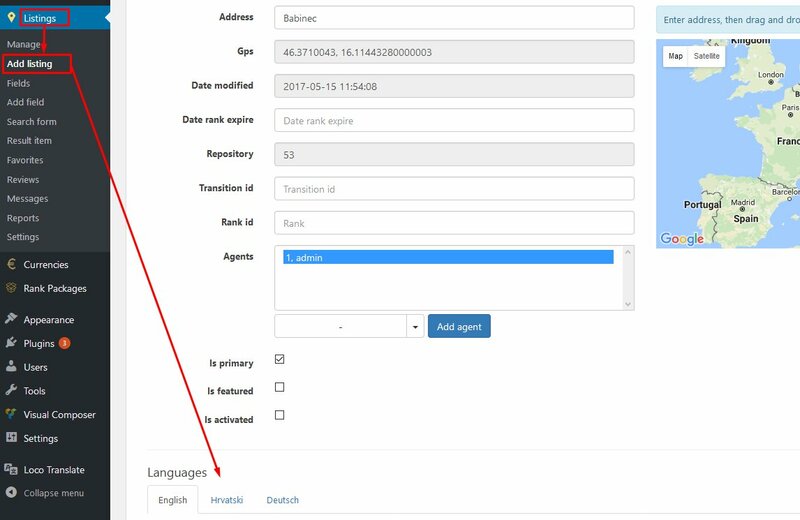 To translate regular translation words use Loco Translate plugin as described in previous section, qTranslate-X will automatically load this translations for selected language. Usually it's right sidebar or footer. 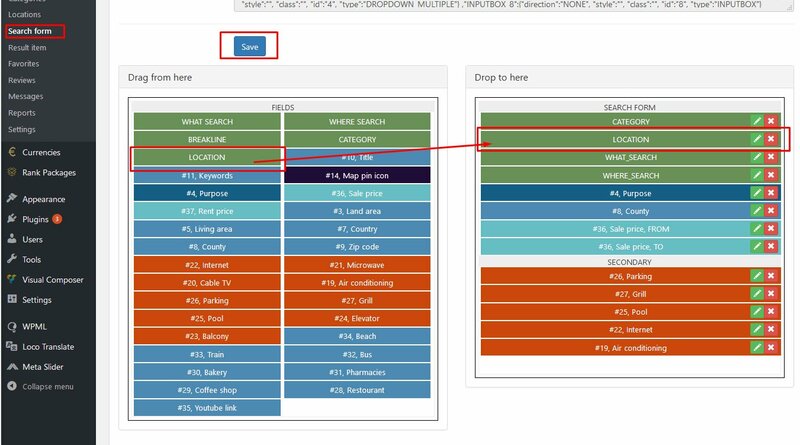 For example search form fit nicely right sidebat, map results listing footer etc. 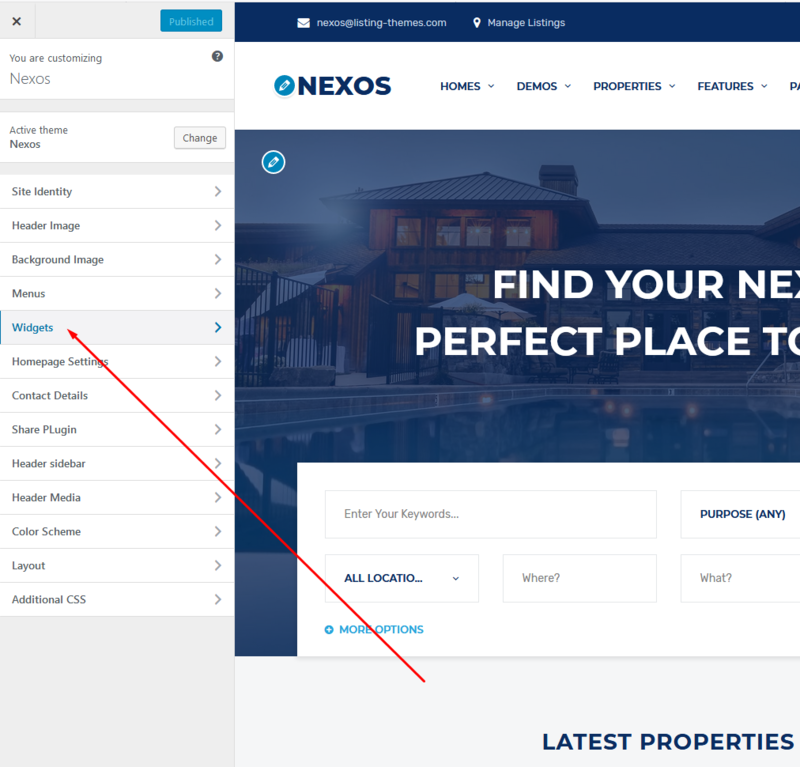 text_criteria can be any text for search, example "luxury"
Our plugin also contain lot of VIsual composer elements which can be added to some page, similar to shortcodes, but this one is visualy. Of course, replace your-website.com with your real website domain and run first url from browser to check if works properly. 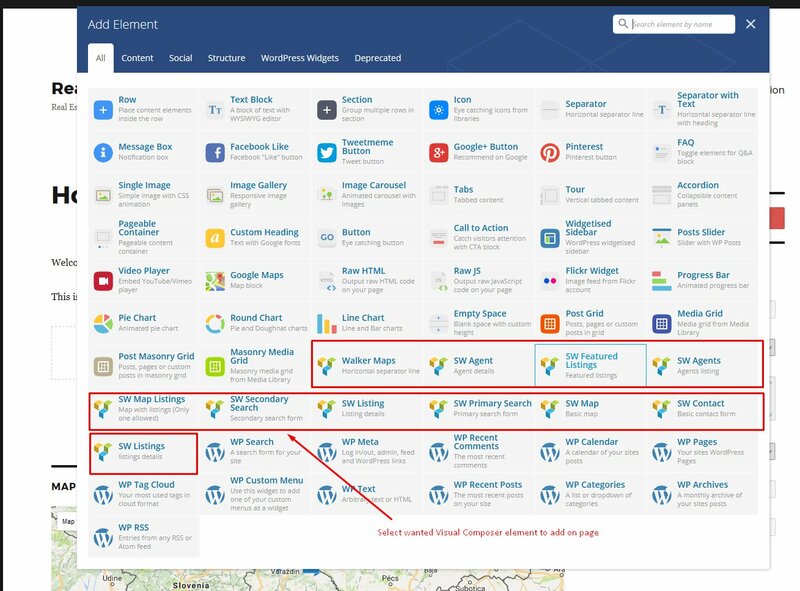 Only quick search, advanced search, near listings features works for now. 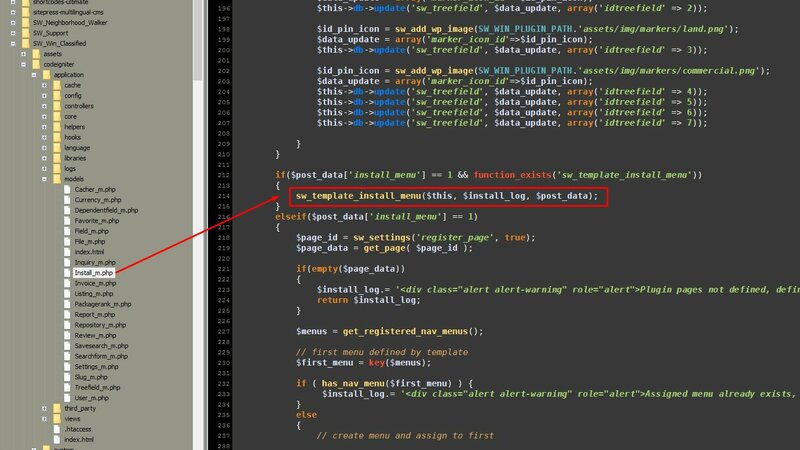 Favourites, Login, Register, Quick submission, Taking photos planned in future and for now must be disabled in mobile app config file. NOTICE: We have license to provide revolution slider with theme, it's not activated and purchase code for slider is not included but can be used with theme. 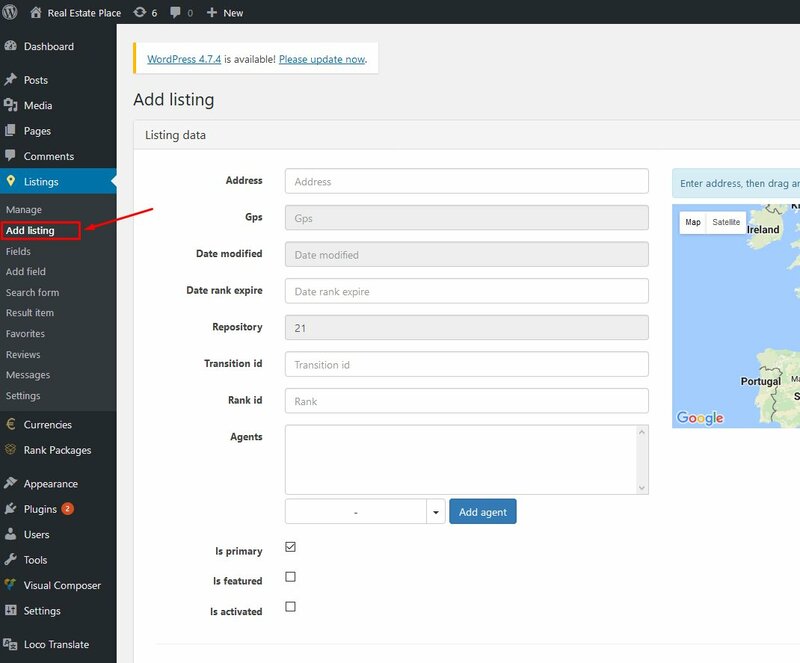 You can use [swmaplistings] shortcode for this purpose. 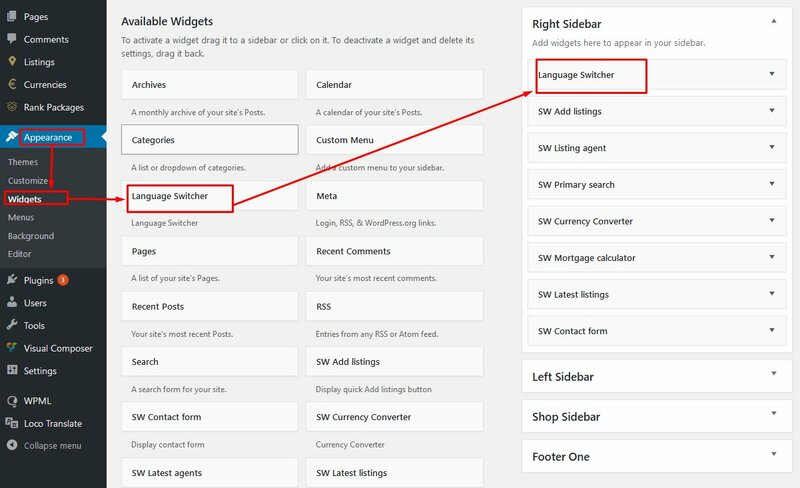 You can use any slider plugin not-dependent to our plugin. You can just follow this slider or any other slider guides for installation and usage. 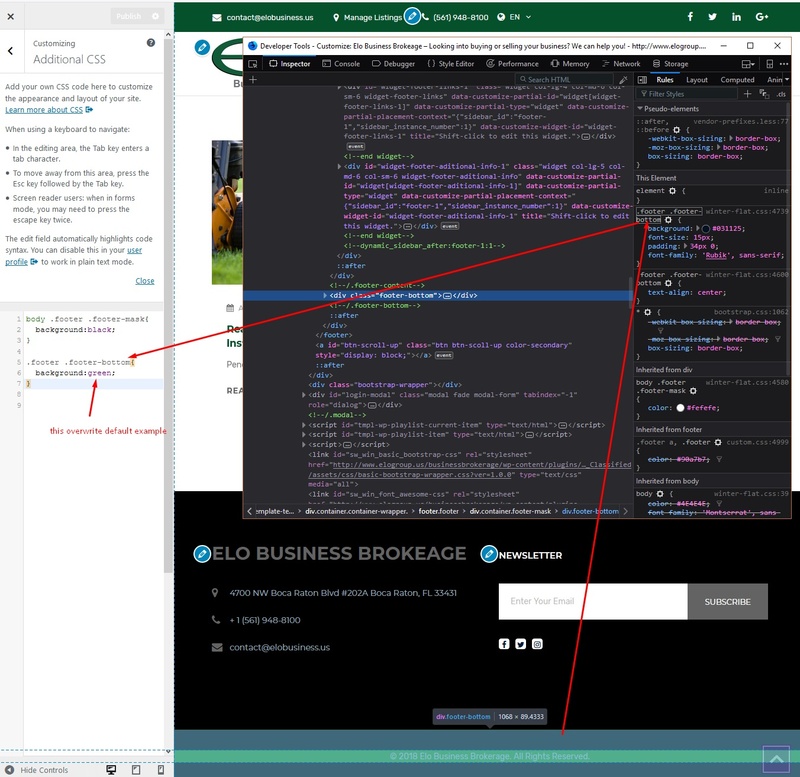 If you want something very special, you can add own css changes, this require basic css knowledge. 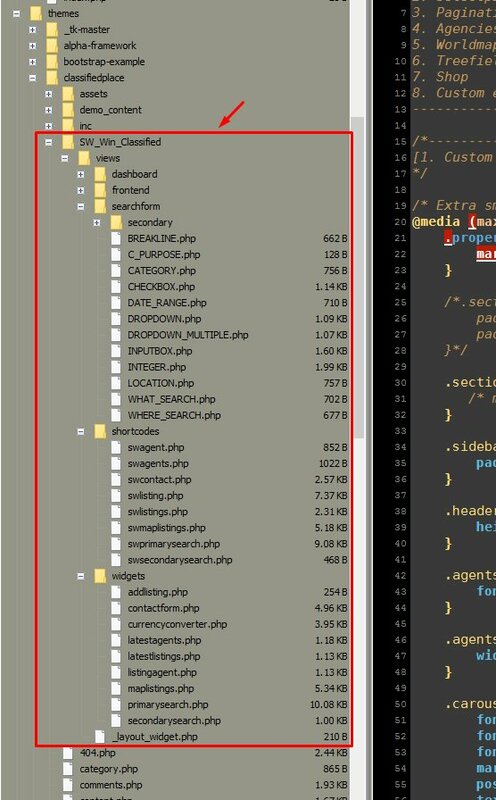 Or even better in your theme custom css file. Our plugin is based on Codeigniter MVC arhitecture and Bootstrap on frontend. ExpiresByType application/font-sfnt "access plus 1 year"
From v1.4 plugin we implemented advance theme support. Please reading custom coding section before that. 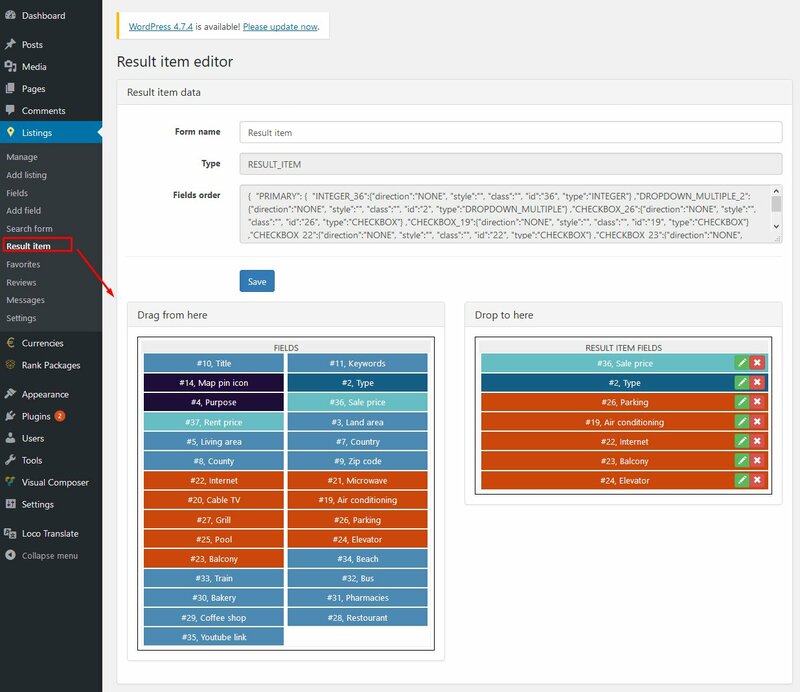 So you can add custom HTML for all view files based on your theme requirements. 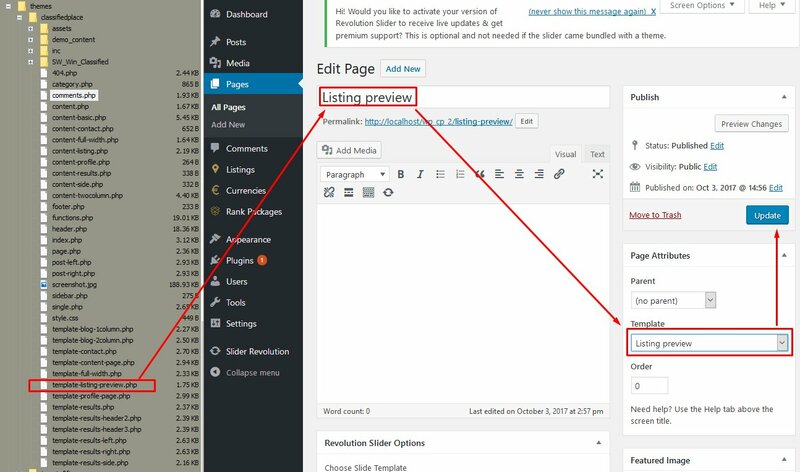 Additionaly we added some custom functions support for themes like demo installation. You can define this functions in functions.php template file or similar where you saving such functions usually. 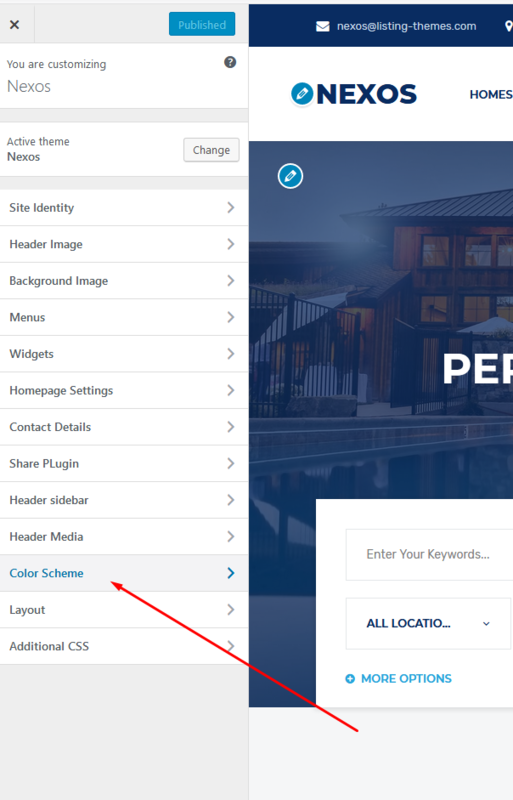 WordPress.com doesn’t allow you to upload your own themes (you’re stuck with what’s available for free or in their marketplace) so in order to use any of the awesome themes on Themeforest you’ll need to get yourself a self-hosted installation of WordPress. We will try to make as most features possible compatible, but they have so many limitations for plugins that is not suggested to use it. 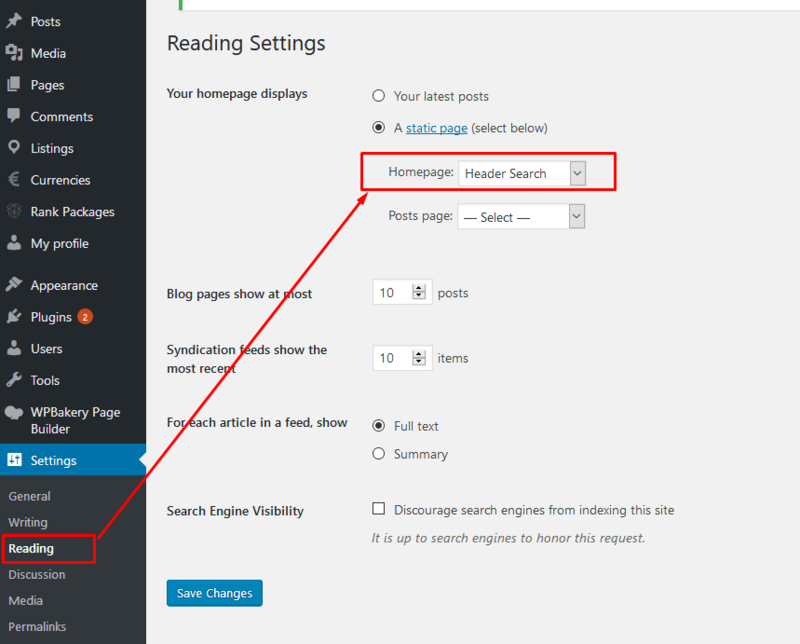 Use cheap and good hosting suggested in above section instead. Installation failed with message: The package could not be installed. The theme is missing the style.css stylesheet. ? 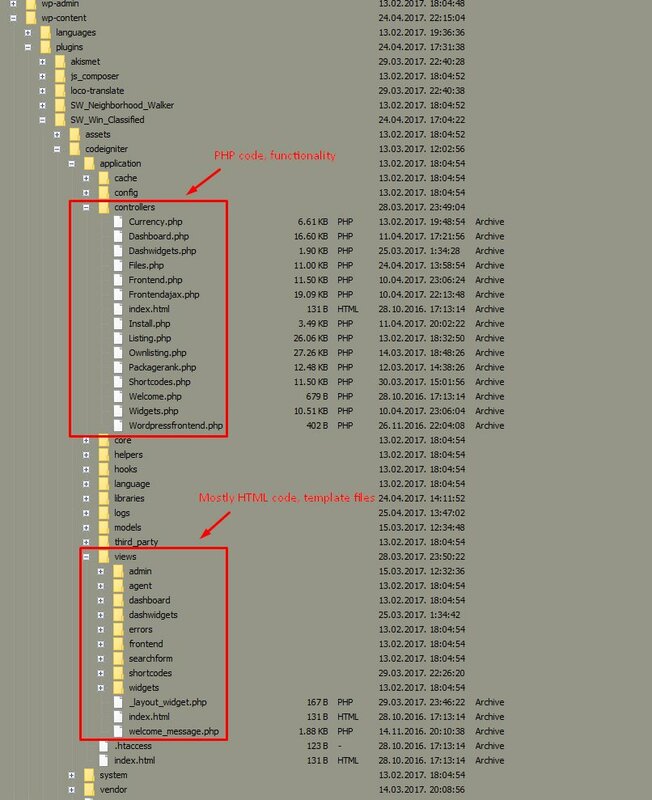 You using wrong file for theme installation, open this file, maybe you have inside nexos_theme.zip , use this nexos_theme.zip file instead. 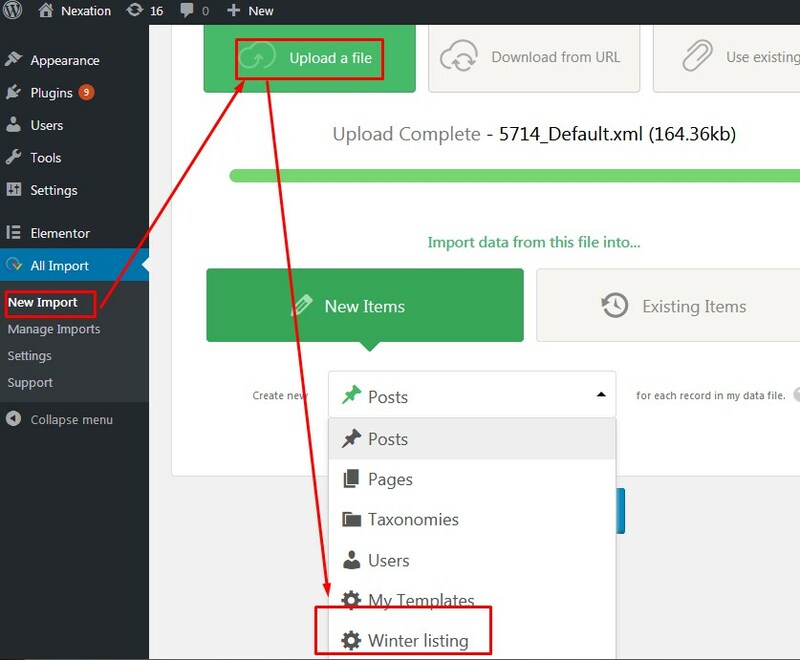 Link has expired message in wordpress? So this usually happen because of small upload_max_size configuration on server and is easy to solve. 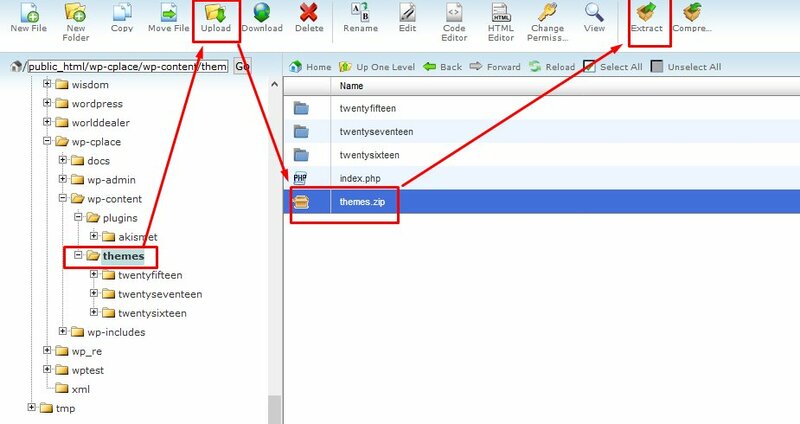 You can also extract theme directly on server cpanel file manager into folder "wp-content\themes\" instead of uploading via dashboard. 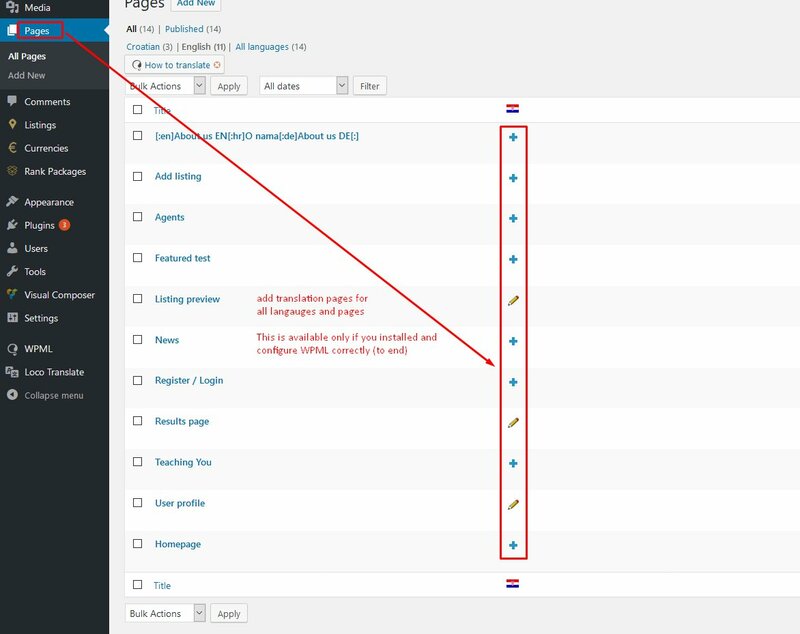 This sometimes happen in Wordpress, not relate to theme, Clear your browser cache and cookies or use another browser / PC. 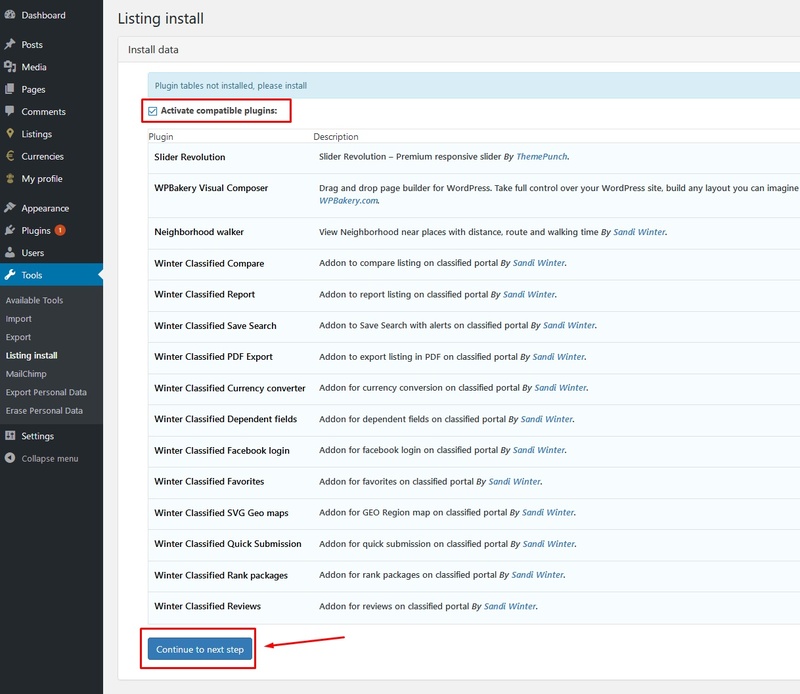 Also use clean latest wordpress version, because some third parity plugins can also cause that. You receiving "Sorry you are not allowed to access this page" ? Check above, similar to link has expired. 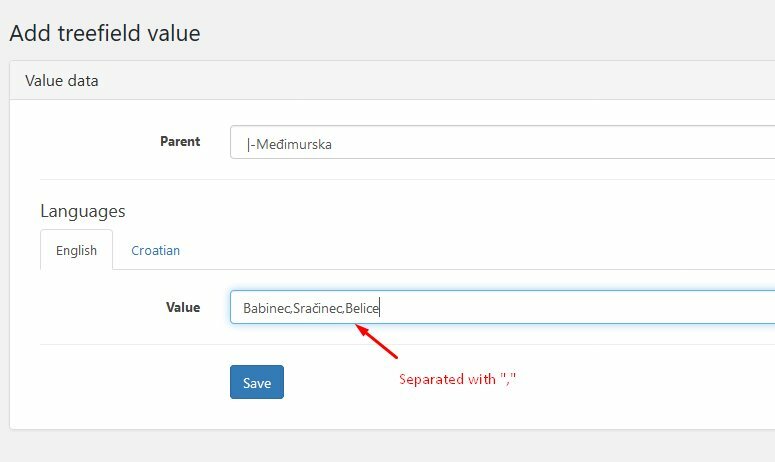 How to import data to plugin/theme? 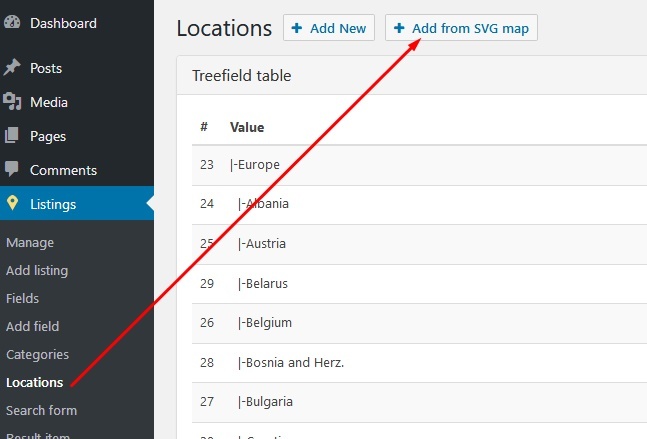 Plugin "Wp all export" can be used for export any csv or xml file, with nice visual fields mapping. 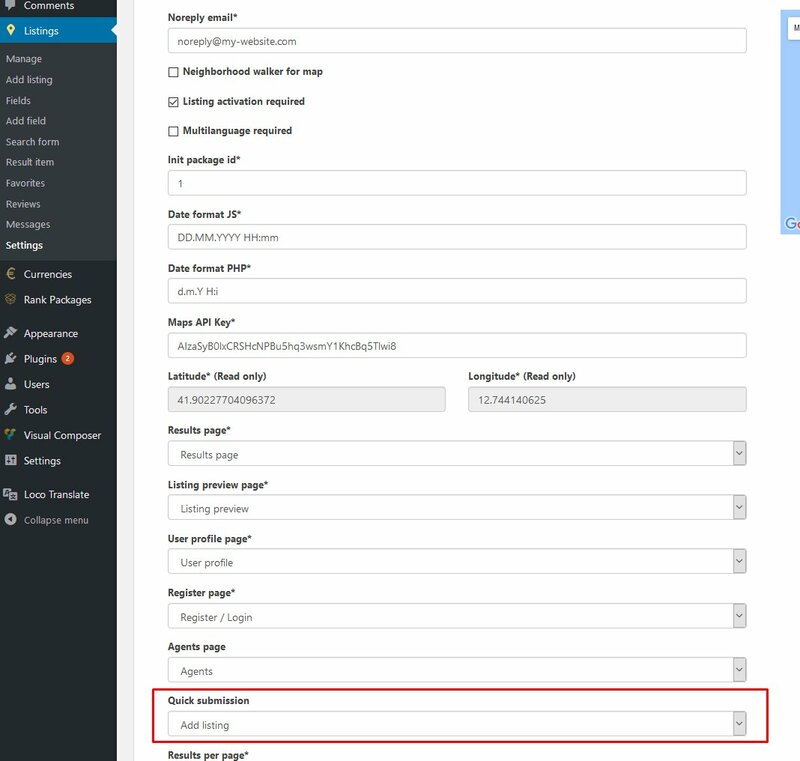 You want to enable page offline? 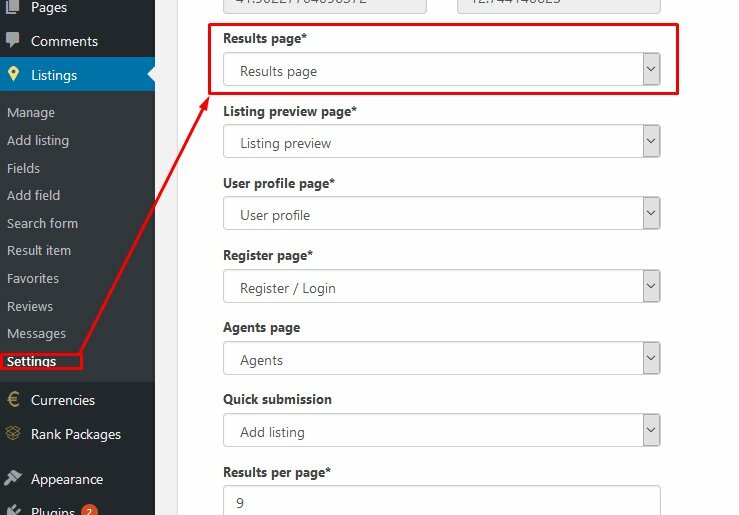 You add listing but it's not available on page? 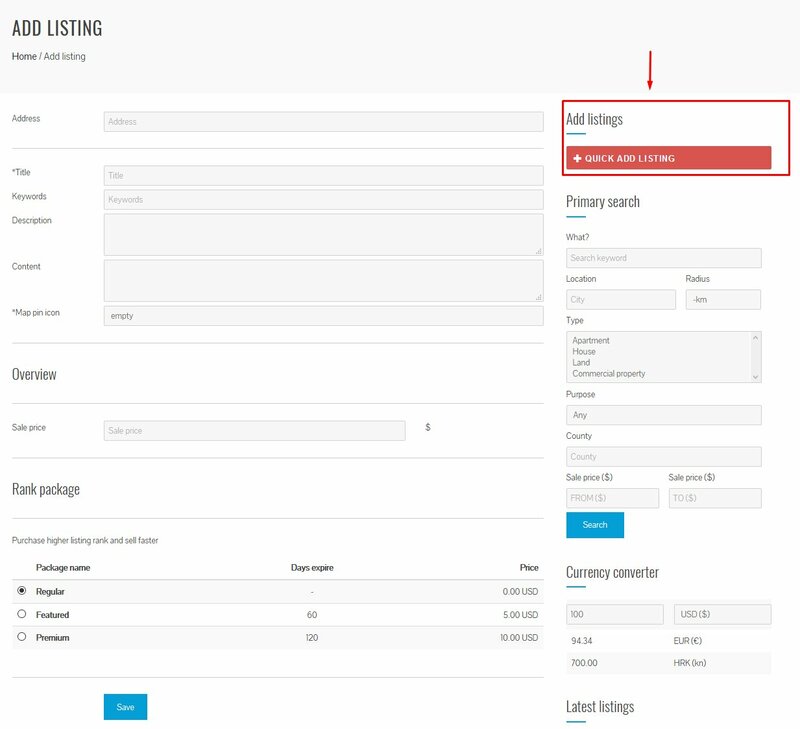 Listing must be activated by admin or paid services to become visible. You want to disable word Any in search forms? Similar way yo ucan customize any other field. 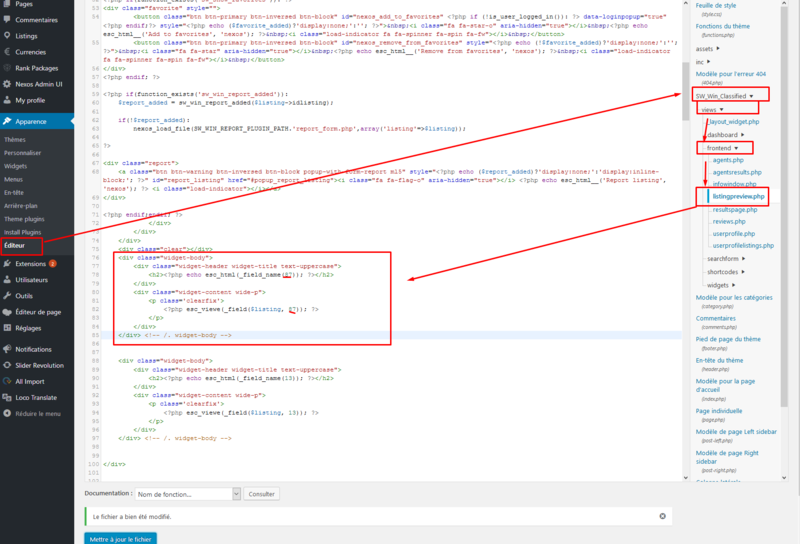 Receiving error, Call to undefined function get_header() in index.php... ? You don't have wordpress installed. 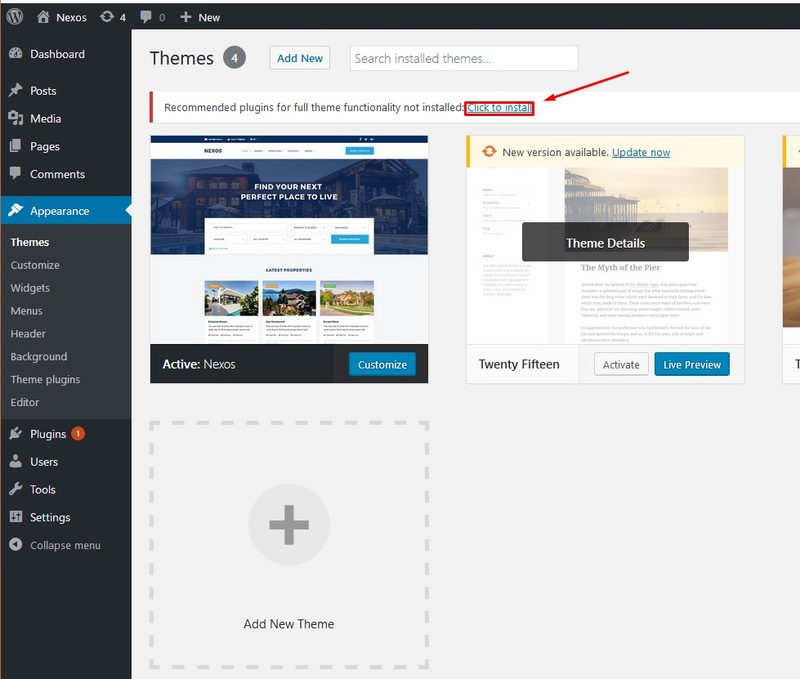 This is wordpress theme so wordpress is required for installation. 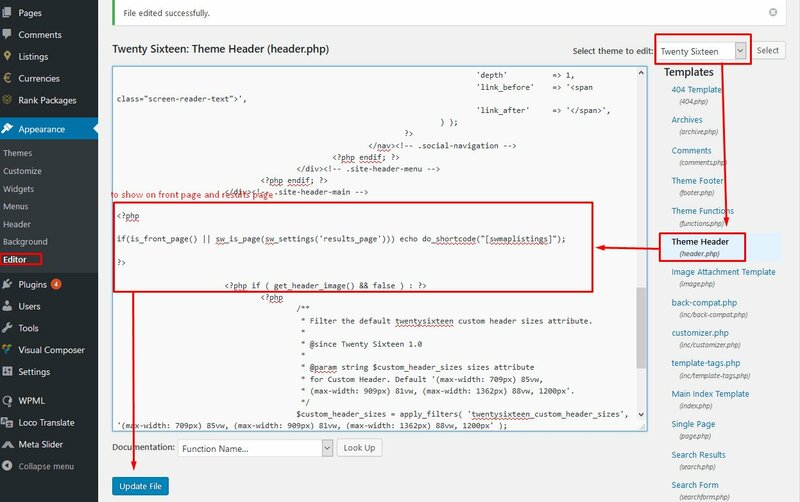 function get_header is part of wordpress and if you don't have it installed so is expected that will be undefined. 1. 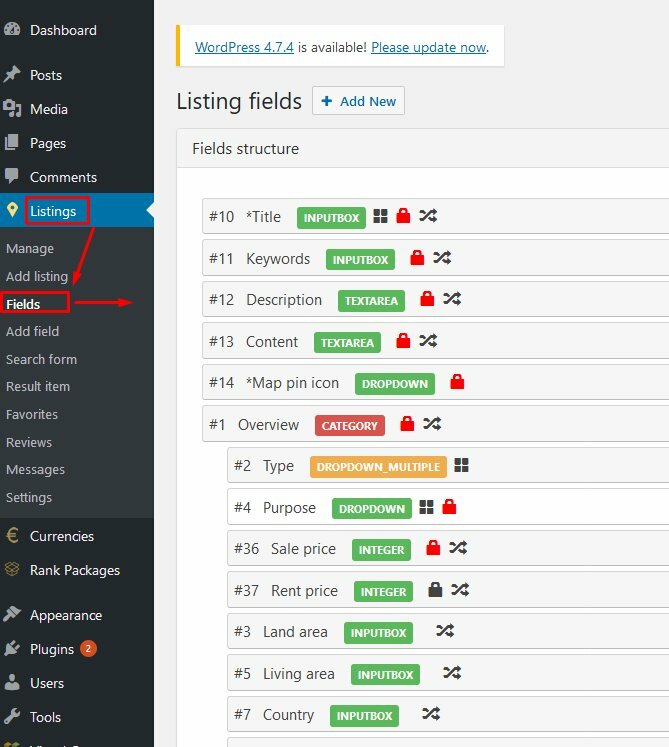 Install wordpress by some regular wordpress installation guides. 2. 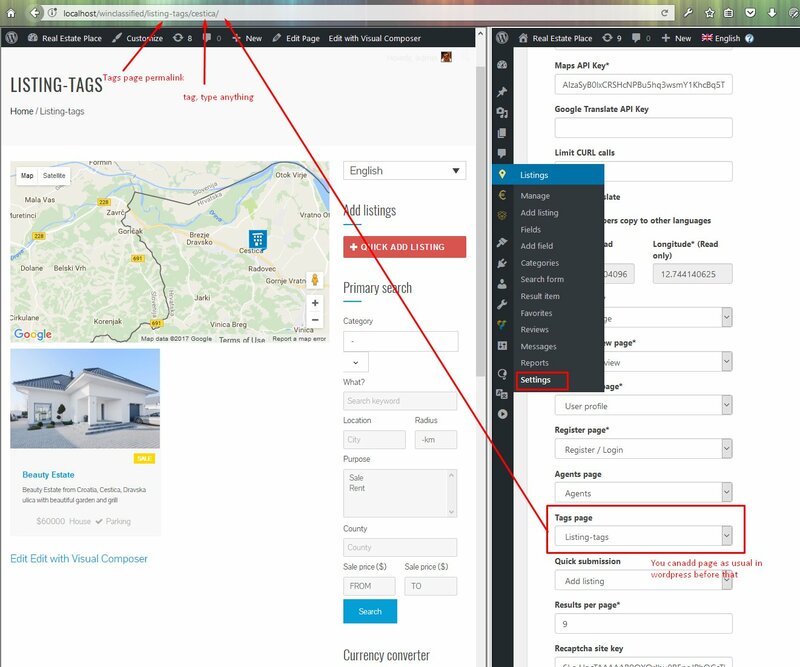 Install this wordpress theme by docs guide. 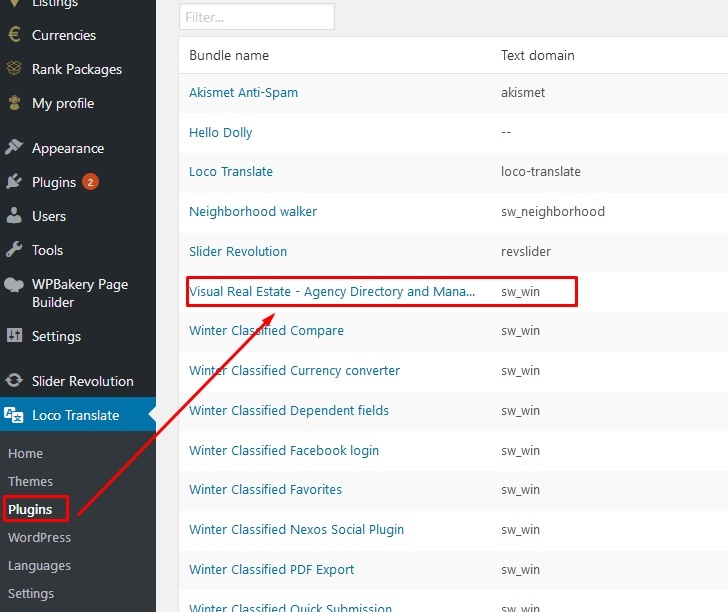 If you don't like wordpress then you actually purchase wrong item by mistake, in such case we can provide you replacement standalone version: https://codecanyon.net/item/real-estate-geo-portal/20191566 you can purchase this version. 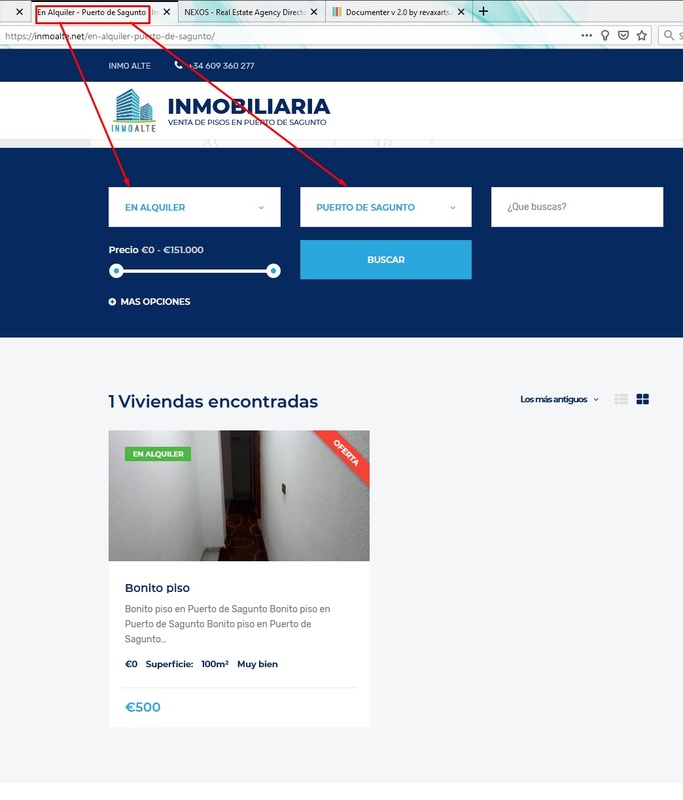 After changes on website you still see old website version on mobile or desktop and happens even after clearing browser cache? 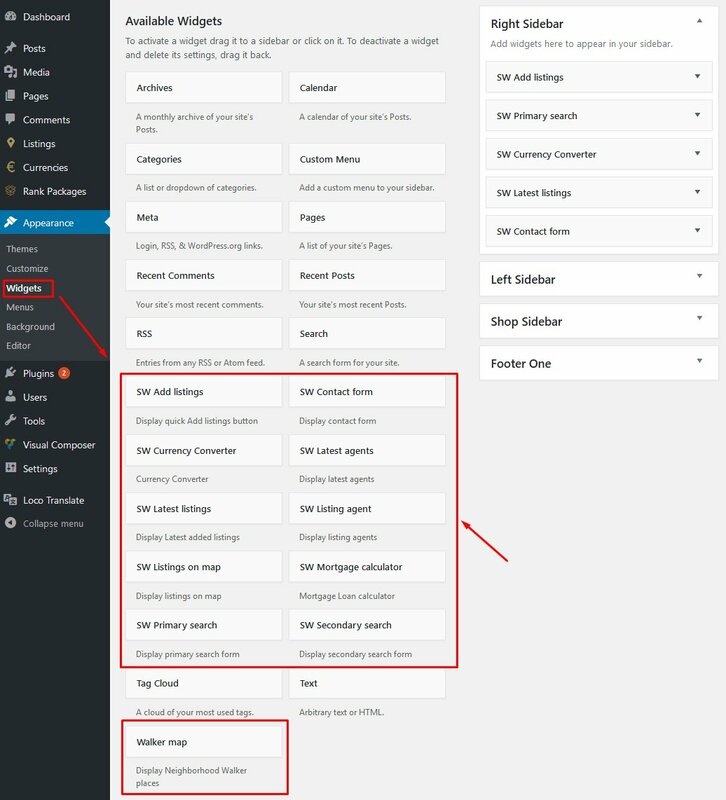 You need to contact your hosting provider or server admin to disable server caching, also wordpress plugins for caching can cause this, sometimes hosting provider add that for you to reduce server usage, specially on cheap reseller or shared accounts. How to change colors and similar? Some servers have trouble with that and you need to use SMTP feature. 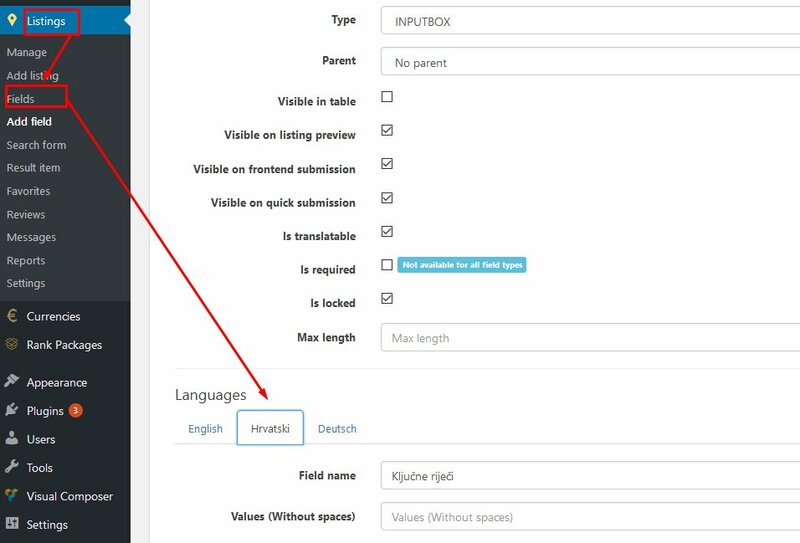 You must translate also categories where this fields belong, if category is not translated, then all fields inside this category will not be visible. Follow complete translation guide, please don't skip steps. Your field width on submission to small or want to change? You have issue like this? 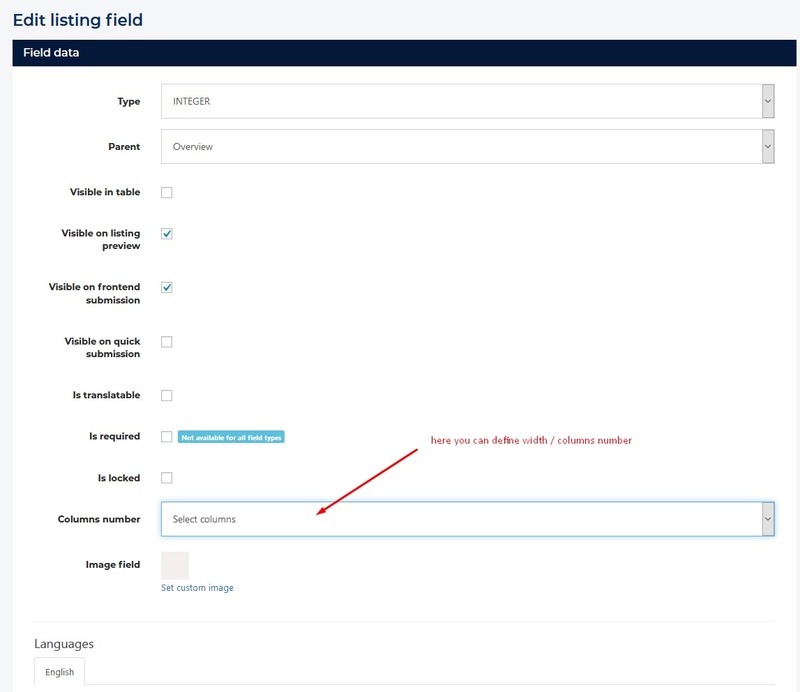 How to add listings based on specific field, featured status or criteria parameters? 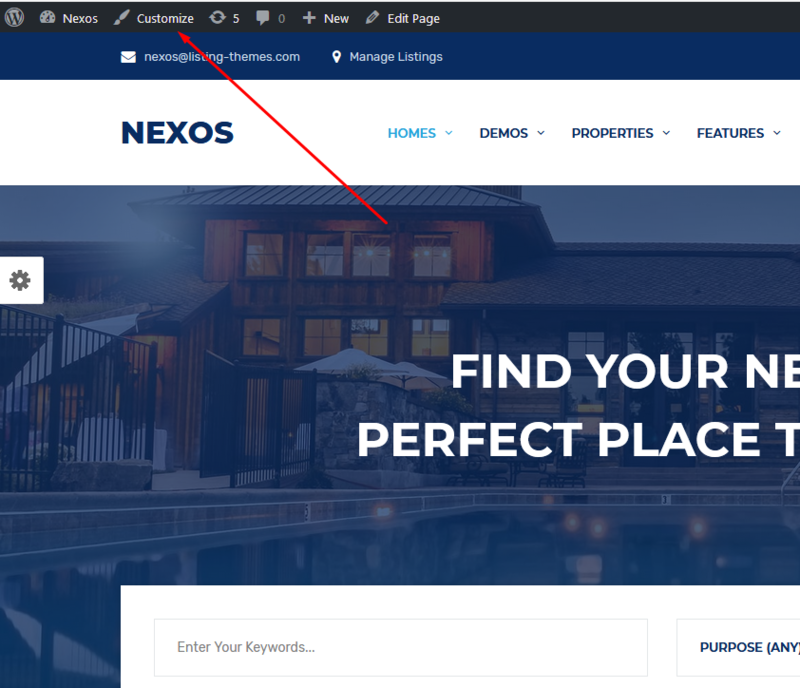 How to hide submit listings button? How to disable report listing or some other feature? 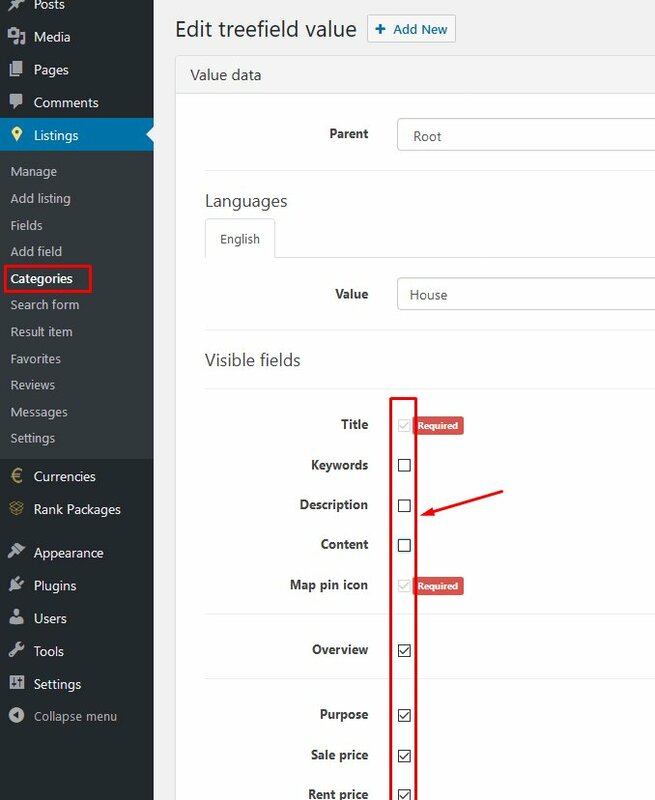 I receiving message when adding listing "The Title field cannot exceed 20 characters in length. (English)" ? This usually hapen because of some unusual server configuration. 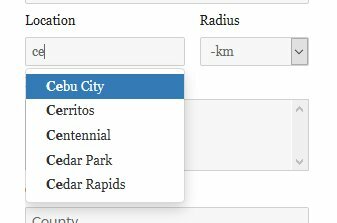 Design not properly loaded in admin? 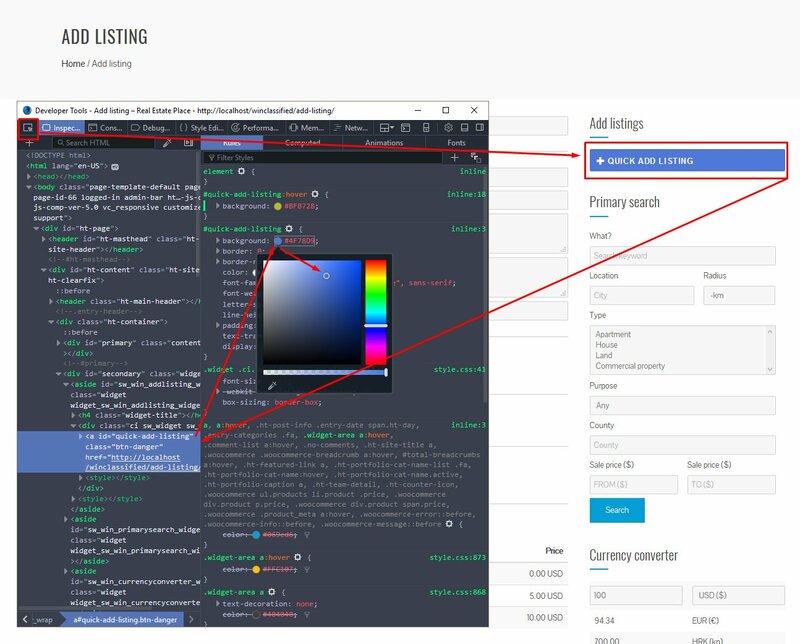 Listing preview always opening in default language, WPML issue? This happening because pages are not translated or marked as translated on edit page. 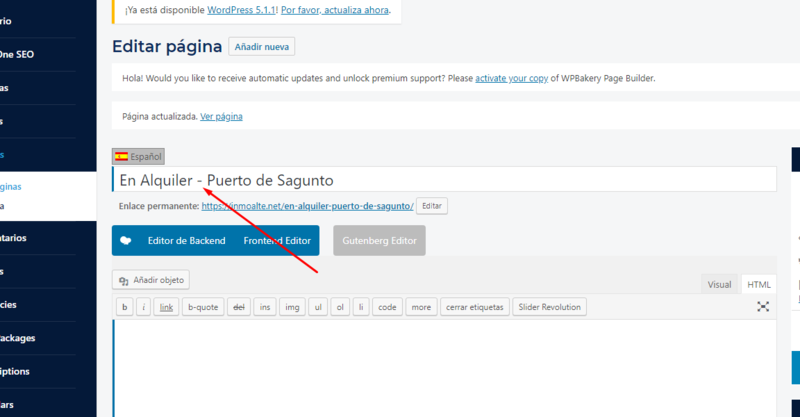 So in such case wp opening page in default language only. Thank you so much for purchasing this template. We will do our best to help you if you have any questions or issue relating to this plugin.